This comprehensive guide to 3- and 4-string jazz guitar chords is an essential tool for all guitarists. 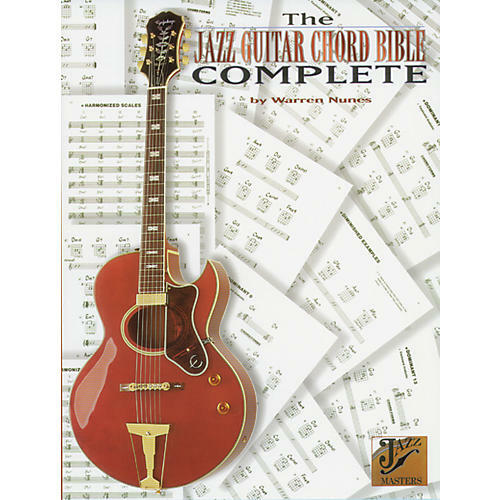 With the Jazz Guitar Chord Bible, all jazz musicians can build their knowledge and abilities in using different jazz chords. Every application is covered in the useful guitarist's reference book, including passing guitar chords and altered chords. All of the most logical, practical, and widely used chord voicings are included in large, easy-to-read chord frames.